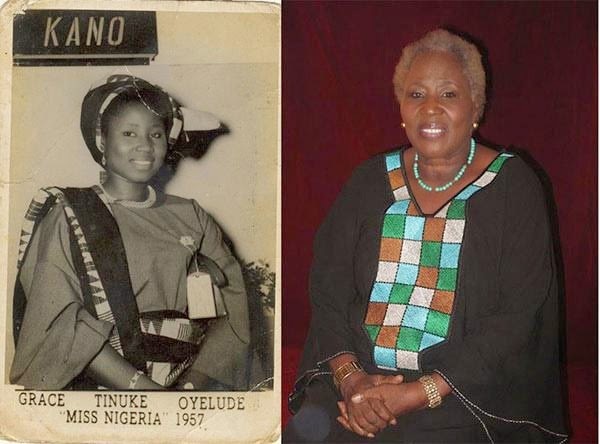 Do you know of Nigeria's first ever Miss Nigeria, Grace Tinuke Oyelude? Well, here she is now. Still looking pretty since 1957. Infobuddie learned that she now lives in Illorin. She's a great grand-mother and was the president of the old Kwara Health Management Board for a long time. We are glad she's still hale and hearty. So we decided to celebrate her, although it's not her birthday. As Nigerians, let us all learn to celebrate our icons. Your blog is glorious in our seance thanks.